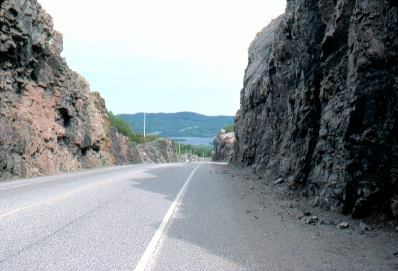 The highway along Lake Superior's north shore is known for its huge deep rock cuts. Here's one of them west of Pays Plat. The highway is sometimes as high as 700 feet above the lake, making for great scenery. 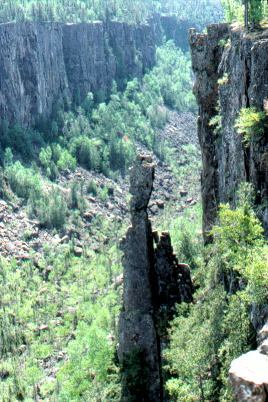 All of the north shore is composed of a very old mountain range, made up of the ancient granites of the Canadian Shield. 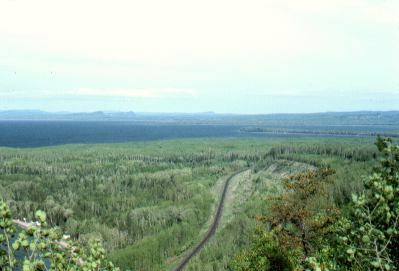 The first railroad across Canada (the Canadian Pacific Railroad), seen here below, ran along the north shore. 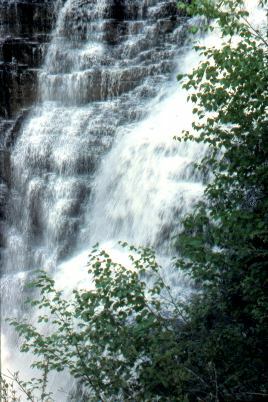 Of the entire cross-country line it was the most difficult and expensive section to build, because of the ruggedness of the north shore terrain. 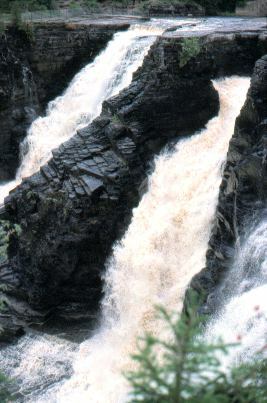 East of Thunder Bay lies the Ouimet Canyon, a few miles off the main highway. Under some rocks on the canyon floor there are patches of ice and snow year-round. 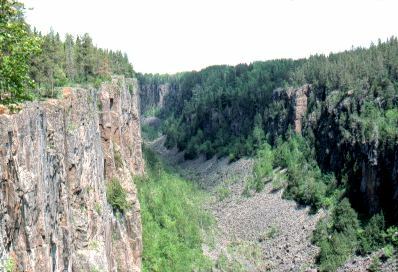 Here is another view of Ouimet Canyon, looking up towards the inner end. The canyon is about 300 feet deep.